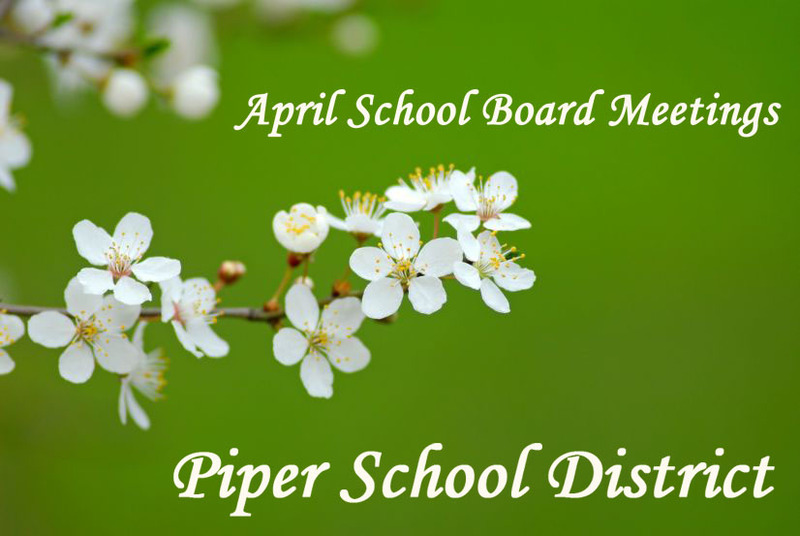 The Piper School District’s Board of Education will meet Monday, April 9, at 6:30 p.m. In addition to routine items on the agenda, such as overseeing personnel changes and considering a donation of softball bat bags, board members have a full schedule. One agenda item will be discussion of how to make room for a growing number of students. Because of the $55 million price tag, building a new high school “is not feasible at this time,” according to a facilities committee report board members will review tomorrow night. Although building a new school is not feasible right now, the report suggests asking voters next spring to approve the sale of bonds to fund a new school. If Piper borrows more money, property owners will pay higher taxes to cover the costs of this debt. Facilities committee members suggest owners might be willing to pay $8 or $16 dollars extra per month. According to the facilities committee, a short-term solution would be to add rooms to existing buildings. Estimates of the cost of these additions — which would add enough space for at least 400 additional students — vary from $3.5 to $6.5 million. However, district administrators predict that five years from now the district will need more room than that and that enrollment will increase by more than a thousand students over the next seven years. School bonds are a form of debt for districts similar to mortgages for home owners. Ordinarily Kansas limits the amount of debt districts can take on. When Piper sold $7 million worth of school bonds in 2009, the district obtained permission from the state to exceed the debt limit, according to information from the Electronic Municipal Market Access site operated by the Municipal Securities Rulemaking Board. Student enrollment in the district has grown from 1,320 a decade ago to 1,726 last year, according to information from the Kansas State Department of Education. And predictions are that enrollment will continue increasing. According to statistics from the Wyandotte County Economic Development Office, the county may add more than 10,000 more households over the next three decades. The Board of Education meeting, which is open to the public, will take place at the Piper Elementary Library; 3131 N. 122nd St.; Kansas City, KS 66109.
information you offer. It’s nice to come across a blog every once in a while that isn’t the same unwanted rehashed material.